New contest everyone! Not a lot of people entered the last one so I think we need a new contest. Ok it is simple. Just draw in any style you want, all of the board members. This includes Zitzabis, Dr.A, Sole, Vivid, Iate, and Me: Rabid. Ok the ending date will be decided later. Ok, everyone enter! I'll give this a whirl! When does it end? Later. I want everyone to have enough time to make this. Maybe a month, that should be more than enough time. Ok, I recently got my Nintendo DS Lite back from America so I can start doing digital drawing again. I like to use Colors! for it. If you don't know what Colors! is, check out my profile on their website. Note, some of the paintings are really old! Don't judge me. I like them. Iv'e been looking into getting Colors 3d. Is it worth the purchase? For the 3DS, it depends. I've never tried it. But it is pretty cool and it's nice for just sketching. Back in the DS homebrew days, the community was awesome. They still have unofficial contests. So it's a toss up. If I had a 3DS, I would. Zitzabis wrote: For the 3DS, it depends. I've never tried it. But it is pretty cool and it's nice for just sketching. Back in the DS homebrew days, the community was awesome. They still have unofficial contests. So it's a toss up. If I had a 3DS, I would. OK, will buy it when have 7 dollars laying around. The only difference with Colors 3D is you can draw with up to ten layers of depth in art. Exactly! It's pretty sick actually. Zitzabis wrote: Exactly! It's pretty sick actually. Shame you won't be able to get it. Maybe you can get a 3ds eventually. 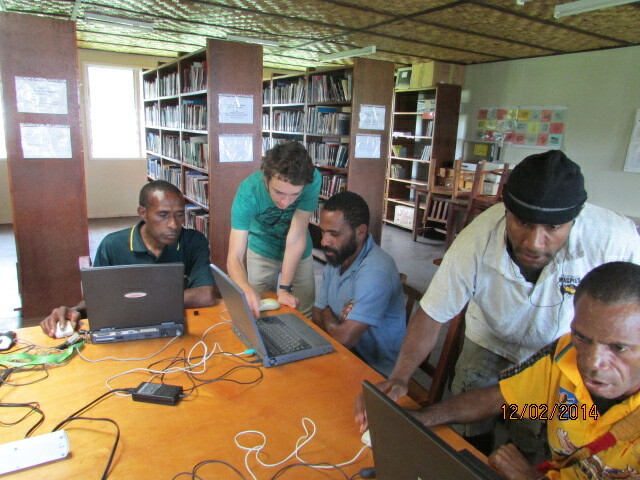 Another thing, are you able to buy technology there in PNG. Im not quite sure your living conditions. Like can you easily buy a 3ds there? Im not trying to sound rude I don't know much about your situation. lol Nope!! I'm lucky if I can buy a computer! Let alone something for purely gaming. Basically, they sell computers (overpriced), phones, tablets and headphones. Those are the major things you can buy and they are all really cheap quality. That's why I buy everything in Australia or the US. Ok, I think I understand. Well maybe you can get one once you come back to the U.S.
Also can wait to see your's and everyone else's entry to this contest! How does the end of the month sound till this contest ends? Should be plenty of time to get the artwork done I think. But please, you can submit TOMORROW if you want. I would love to see some entries come on in. This was worded a bit weird but i think you guys will get the point. Teaching, eh? Sounds interesting, who are you teaching it to? Dr.A wrote: Teaching, eh? Sounds interesting, who are you teaching it to? Yeah it's fine. You know, just eh. Whatever. Try to enter I think it would be cool. glad we see you face... sort of. We all on skype got dem pics doh. TheRabid wrote: Yeah it's fine. You know, just eh. Whatever. Try to enter I think it would be cool. glad we see you face... sort of. We all on skype got dem pics doh. I just need to finish off my Ender Dragon texture in my Dreams of Drean texture pack (it will then officially be complete) and then I'll start on a drawing of Dr A. For some reason, I think his character will be the easiest to draw. Not to mention I like the colors you used for his clothing. Well, I have to say, nice to finally see your face, well, at least most of it xD. Anyway, that actually sounds like it could be a little fun, but a bit frustrating. I've tried teaching people stuff about electronics, and I have to say, it was difficult. But wow, windows millenium(or windows ME for short). I don't think I've ever seen that in action :Plol. Seems good. You thinking a computer art, painting, or hand drawing? Just curious. My tablet isn't working as well. 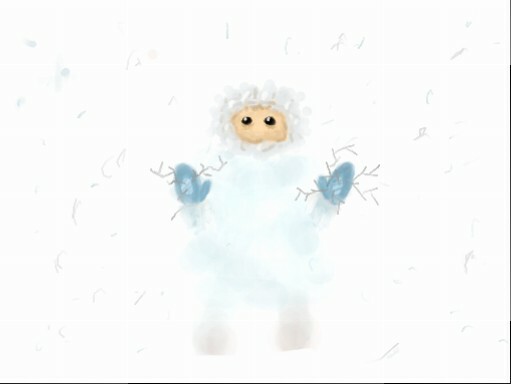 I have been using mouse for art on computer surprisingly. But yeah, Good choice. Well in the end I broke down and used my DS to draw this one. I had the idea for solemnote for quite a while but I knew it was simple so I delayed. But here it is! That looks scary if you put it in a scenario, but it's cute as well, so nice job~! We have one entry, sort of, right? Ok another ten days to draw your renditions of THE KNIGHTS. Zitzabis starts out with a very cool entry. He so far has drawn Solem! I can't wait to see what he draws next! As well as the rest of you guys.